Kwetza is a tool that allows you to infect an existing Android application with a Meterpreter payload. 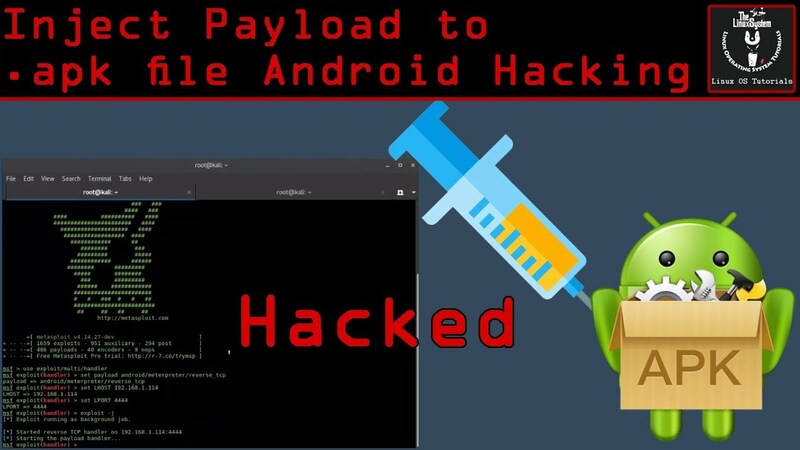 Kwetza infects an existing Android application with either custom or default payload templates to avoid detection by antivirus. Kwetza allows you to infect Android applications using the target application’s default permissions or inject additional permissions to gain additional functionality. Kwetza has been developed to work with Python 2. Kwetza by default will use the template and keystore located in the folder “payload” to inject and sign the infected apk. If you would like to sign the infected application with your own certificate, generate a new keystore and place it in the “payload” folder and rename to the existing keystore or change the reference in the kwetza.py. The password for the default keystore is, well, “password”. nameOfTheApkToInfect.apk = name of the APK you wish to infect. yes = include “yes” to inject additional evil perms into the app, “no” to utilize the default permissions of the app. I did the same things you did. But when I do “exploit -j”, I don’t have “Starting the payload handler…” so when I open the APK on my Android Device, it’s not working. Can you please help me ? Thanks. ps: tried this with Kali Linux 2018.4 and Parrot Security 4.3.